Historic landscapes have often been ignored in historic preservation. In 1987, Dr. Charles L.W. 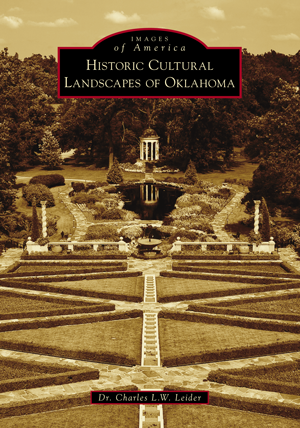 Leider asked design professionals and the public to nominate significant historic cultural landscapes in Oklahoma. As a result of this effort, 47 significant historic landscapes were identified. Students in Dr. Leider's historic preservation course at Oklahoma State University (OSU) conducted an inventory and analysis of these sites and, over a 25-year period, selected and completed 18 case studies as measured and interpreted drawings, including Villa Philbrook, 101 Ranch, Oklahoma Civic Center, and Utica Square in Tulsa. All of the case studies have been recorded with the Historic American Landscapes Survey (HALS) of the US National Park Service and placed in the US Library of Congress as well as being presented in this book. Charles L.W. Leider, PhD, is professor and director emeritus of the landscape architecture program at OSU. Prior to coming to OSU, he served as planning director for several leading consulting firms. He earned a bachelor’s degree in landscape architecture from Michigan State University, a master of city planning from Yale University, and a doctorate from OSU in environmental science with an emphasis on the preservation of historic cultural landscapes.